iPad2 Is Here! So Is Jobs. San Francisco: Moscone Center in San Francisco is part of the urban heart of the city's downtown district. It is also a favorite haunt of IT companies in the Valley, which use Moscone for everything from conferences to product launches. Apple has been holding its Macworld Expos in the conference center, and the company launched its range of iPods, iPhones and iPads here as well. No wonder then the company will launch its much awaited iPad2 here. The event was presided by none other than Steve Jobs himself, amid much fanfare and standing ovation. Also read our post Please Get Better Soon, Steve! on TechCircle.in. The first gen iPad sold 15 million units. Going by the enthusiasm, the hype, and all the hoopla, the next generation of the devices will probably not be far behind. The iPad 2 features a different form factor that is 33 percent thinner and up to 15 percent lighter than the original iPad, while retaining the 9.7-inch LED-backlit LCD screen of the original avatar. It also uses a new dual-core A5 processor. IPad 2 also has two cameras, one in the front and one at the back. The rear-facing camera can capture 720p HD video. The tablet also comes with iOS 4.3, the latest version of Apple's mobile operating system. iPad 2 runs almost all of the 350,000+ apps available on the App Store and there are more than 65,000 native iPad apps available. 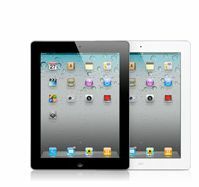 IPad2 models will also be available in white as well as black. The entry-level iPad 2 will retail for $499, with prices going up to $829 for more equipped versions. The company is yet to launch the iPad2 in India. This was to be expected, as Apple disappointingly brought its first gen iPads here only in late January. Read more about India pricing of them here. The Wi-Fi models should still work here, if you can lay your hands on one. Jobs took a barb at the competition in is his customary style. "While others have been scrambling to copy the first generation iPad, we're launching iPad 2, which moves the bar far ahead of the competition and will likely cause them to go back to the drawing boards yet again." Fans, analysts, investors, and the media breathed a collective sigh of relief on seeing the Apple CEO, who has been on medical leave, since January this year.